The Hammers lost their first four games of the campaign under new manager Manuel Pellegrini. However, since opening their account with a 3-1 win at Everton, the Hammers have added impressive home wins over Manchester United and Burnley. Fabianski told Sky Sports: "It has been a tricky season, a little bit of a transition season for us. "But, in recent games, I think performances have been better compared to the start of the season. "You can see that there is a bit more consistency when it comes to our performances. "We are getting more points and hopefully that can continue. "For me, the main thing is to put in a good performance against Huddersfield (on Saturday), get the maximum out of it and put ourselves in a strong position in the table, to then look at what is in front of us in the coming weeks." Fabianski has been in fine form himself and is looking like a shrewd summer purchase from Swansea. Asked if he was in prime, the Poland international joked: "I really don't know. "I could say I was in my prime and then in the next game have a shocker!" 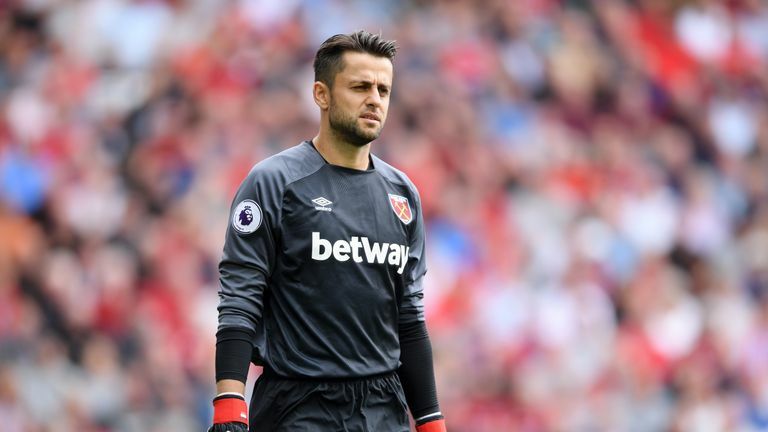 Fabianski was speaking to Sky Sports at the launch of The Players' Project where West Ham are promising to invest £10m over the next three years into the local community.